How can we get to grips with this passage in John 2:12-25? What can we draw from it? The basics are clear enough. 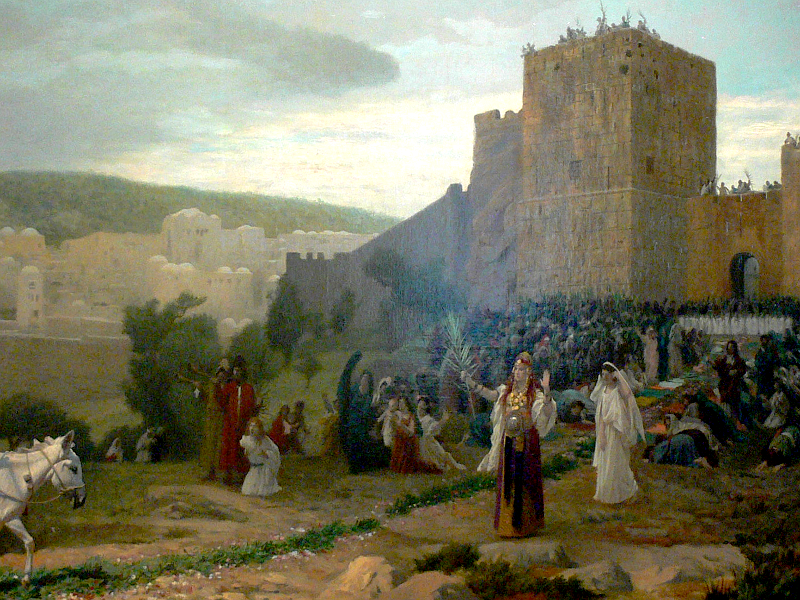 Jesus goes to Jerusalem, throws the traders out of the Temple courts, and thereby provokes the Jewish religious leaders to demand to know his authority for doing this. It's a reasonable question. His reply is, on the face of it, ludicrous. Destroy the Temple and I'll raise it again in three days! Much later the disciples would understand he'd been talking about his body as a temple. We also learn more about him. While he was in Jerusalem he performed signs in public. He also knew what is in people's hearts and minds. We need to take all this on board, it's not enough to know about him; we need to live him and breathe him and be deeply affected by him from moment to moment. See what he does here, hear what he says, treasure it all up like his mother did (Luke 2:17-19). He made a whip to help him drive the cattle and sheep out of the Temple courts. He was clearly a practical person, trained in building work and carpentry. He used whatever was at hand. He could have just spoken a command and angels would have come to help, or the animals would have obeyed his voice, but it's such a human touch that he does things the way we would do them. Why? Because he doesn't want us stumbling around in awe and keeping a respectful distance. He wants us to engage with him in human ways with all our limitations. He wants to be familiar to us, in part that is why he came and lived in a human body. He want us to talk with him, touch him, and learn from him. Thank you Father for sending your Son in a human form.